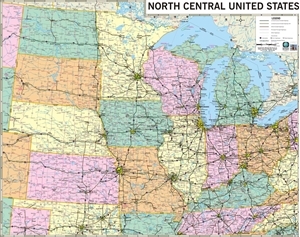 North Central United States Marketing Map outlining and naming each state, outlining and naming each county and showing all cities & towns of 2,500 population and above. 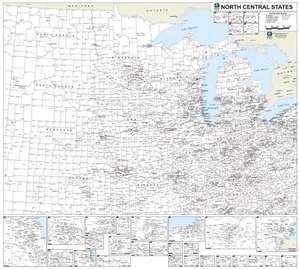 Includes insets of all the major cities. Available in two sizes: 25" x 19" & 36" x 27"